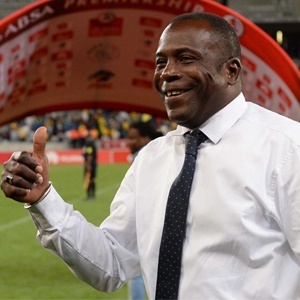 Cape Town - Ajax Cape Town coach Stanley Menzo believes his side may have turned the corner towards better fortunes, after Saturday's Premiership win over Bloemfontein Celtic. The Urban Warriors produced an excellent first-half showing against Siwelele as Bantu Mzwakali handed the hosts the lead. Tashreeq Morris made it 2-0 before Isaac Nhlapo's own-goal ensured a nervy finish to the contest which ended 2-1 at the Athlone Stadium. Nonetheless, Menzo says he is delighted with the three points which moves Ajax up to 13th in the standings. "We played the best first half of the season. The second half we couldn't play anymore because Celtic pressed us higher," the Dutchman told reporters. "Because of that we lost a little bit of confidence and then in the second half you have to say it is all about the win. But I think we won the game in the first half with the way we played. "For the players it is confidence‚ it is so important and belief can make a player not afraid to make mistakes. If you don't have confidence you will be afraid to make mistakes and then you will make them. "In the first half we had a lot of confidence because we played good football‚ and then we didn't make so many mistakes. It's not for me‚ it's about the team. I am responsible‚ but the team has to do the job. "I can only do so much. Of course‚ when you lose you (the coach) get blamed‚ but that is part of the job. I want the players to believe they can win‚ I put a lot of effort into that at training‚ but when it comes to the 90 minutes‚ it is up to the guys." The Urban Warriors next travel to the Peter Mokaba Stadium on Saturday to face Polokwane City in a Telkom Knockout round of 16 clash.